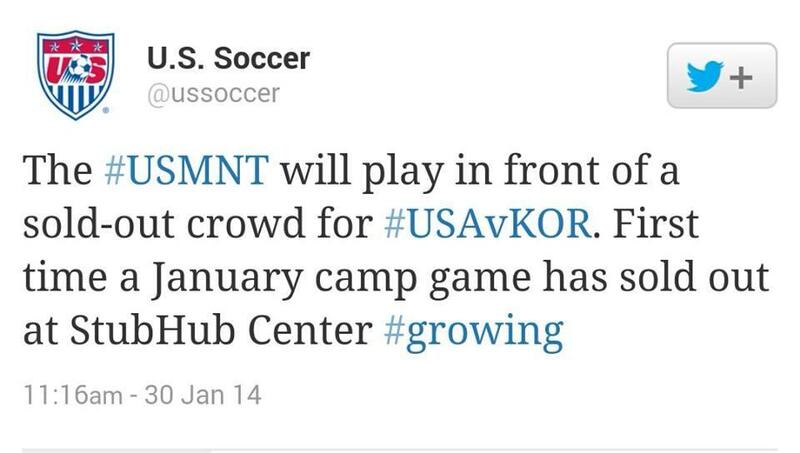 Makes me happy to see this kind of a community happening within US Soccer. Last week I tweeted “Remember when @USSoccer was that uncool thing we did that no one understood?” Yesterday on my flight, the woman next to me said “Soccer is getting to be a big thing in the US, isn’t it?” After years of mocking, soccer finally has the critical mass to escape its nerdy beginnings, and now even Camp Cupcake won’t have tickets available at the gate on game day. What a wonderful world it is….